Sold for a record $83 million US at auction. 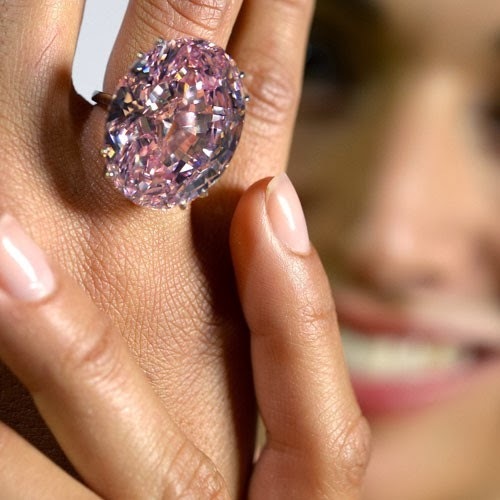 This vivid pink Flawless diamond is a whopping 59.6carats. 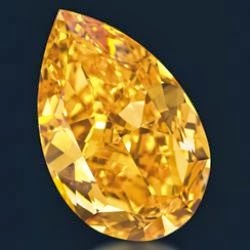 The Orange, the largest fancy vivid orange diamond ever offered at auction, sold for $35,540,612. This sale set two new world records: the highest price per carat ($2.4 million) paid for any diamond sold at auction; and the highest-ever price paid for an orange diamond at auction. Sold for $238.7 million in Hong Kong dollars (US $30.6 million) at the Hong Kong Magnificent Jewels and Jadeite auction on Oct. 7, setting a new record for a white diamond. Miss Kardashian's 20ct total weight former engagement ring from ex Kris Humphries sold for $749,000 at Christies New York on Oct 15th, pretty well shy of it's "reported" value of 2 million.